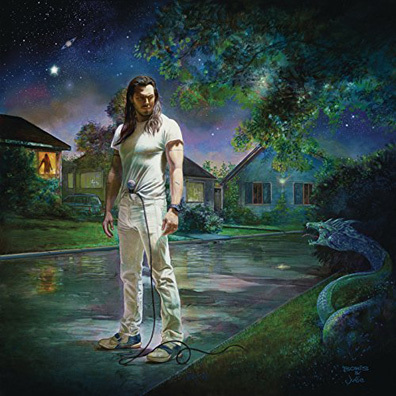 You can say what you like about Andrew W.K., but he occupies a unique place in the pantheon of rock and roll. If you're looking for a motivational speaker who specializes in upscale, gonzo rock, then Mr. Wilkes-Krier is most definitely your man. How does You're Not Alone differ from the brutal impact of I Get Wet? Well, when you first heard his impressive 2001 debut, your inner voice didn't say "really...?" quite so often. The album starts with "The Power of Partying"—imagine "American Trilogy" played by Ministry and you're on the right lines. "Music is Worth Living For" moves back to familiar territory, with its neatly riffing guitars and Mr. W.K. getting all over excited about the prospect of "rocking out." It's unrepentantly primal and you can't help but be dragged along behind it. From here on in, it's diminishing returns, unfortunately. Of particular interest is "Keep On Going," which starts off like an outtake from Wicked and somehow manages to get worse, which is a real achievement. Three of the 16 tracks are spoken word, self-help messages, which match the rest of the album's rather cloying lyrical content. Every motivational buzzword is used repeatedly until you're almost praying for a bit of My Chemical Romance style, teenage nihilism to creep in, just to break up the monotony.